The co-CEO of the Ottawa-based grocery store chain Farm Boy says customers won't notice "one difference" now that the chain has been bought by another company. 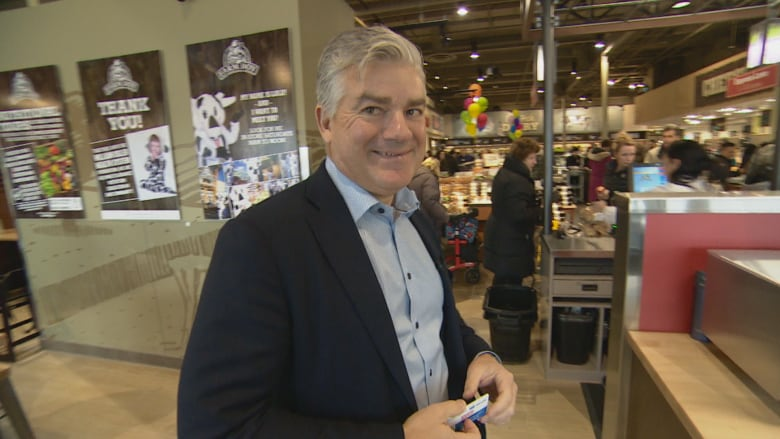 On Monday, the parent company of Sobeys Inc. announced it had reached a deal to acquire Farm Boy in a bid to expand its reach in Ontario. Empire Co. Ltd. said the acquisition values Farm Boy — which includes 26 stores across the province — at $800 million. Farm Boy opened its first store in Cornwall, Ont., in 1981. On Twitter, reaction to Monday's announcement was filled with concern. This may be big news, but Not sure I find this news good at all. I love Farm Boy as it is. Please don’t change into another large commercial grocery store like Sobeys. I love you just the way you are. Co-CEO Jeff York dismissed those concerns in an interview with CBC Radio's Ottawa Morning, saying that when a Boston-based investment company called Berkshire Partners came on board in 2012, no one noticed. "Now we have an iconic brand and family … backing us enough to grow us across Canada. I think it's a great thing for Ottawa, it's a great thing for Farm Boy and it's a great thing for our employees," he said. "[Our customers] will not notice one difference. All they'll see is us continue to get better, to respond to their needs, and give them more, better, healthier options." In particular, the deal provides Farm Boy with a lot of real estate options to choose from in its expansion, York said. On its own, Farm Boy was at the back of the pack. "We get the crumbs after they present them to Loblaws, Sobeys and Metro, and having that power behind us is just going to be tremendous." Farm Boy will also continue selling only food, York said. The chain is also looking at adding "two, maybe three" more stores in the Ottawa area, he said.